With a history of excellence, Vuarnet Sunglasses not only give an optical edge to anyone that wears them, but they keep faces looking good from daybreak until sundown. Legend has it that the Vuarnet Sunglasses brand was born when a French alpine skier and a Parisian optician teamed up to create some truly revolutionary eyewear. Jean Vuarnet was a downhill ski racer who was known for his wicked high speeds and massive amounts of victories in competitions around the world. Roger Pouilloux was a mountain enthusiast that developed the Skilynx lens in the middle of Paris during the 1950s. He and Vuarnet came together to develop superior eyewear that enabled those who wore them to decipher snowy terrain much better after Vuarnet won gold at the 1960 Olympics. As the years rolled by, the brand expanded from alpine eyewear to models that could be worn anytime the sun was out with fashionable/functional sunglasses. The iconic Vuarnet 002 Sunglasses are the same style that Jean Vuarnet himself used to wear all those decades ago. They feature identical molded nylon construction and classic Skilynx lenses, but as vintage as this pair is, they are just as modern as the day they were born. 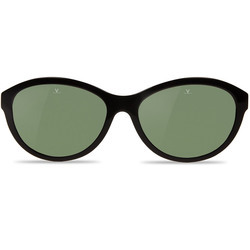 Ideal for smaller faces, the Vuarnet VL0109 Sunglasses have been a fan favorite for years. An ergonomic design and close fit pair with rubber detailing to make this lightweight set ideal for active people and outdoor adventures. Both the Vuarnet VL1301 and VL1302 Sunglasses are loaded with multiuse style that refuses to quit. Durable, yet comfortable, these acetate models have been beautifully sculpted to give them some definitive French flair. 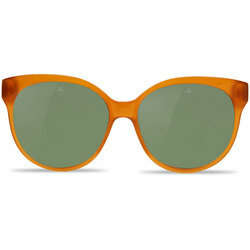 While many Vuarnet shades are great for lads or ladies, they made some models with more feminine characteristics. 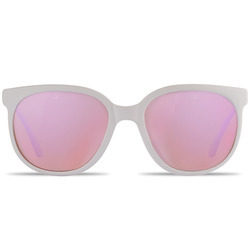 Vuarnet women’s sunglasses like the VL1203 flawlessly combine glamour with performance to create a set that uses a butterfly form that flatters with sophistication and elegance. While the various styles that Vuarnet creates ensure there is something to compliment every face, looking good in a pair of shades only really matters if they are enhancing your vision as well. Vuarnet sunglasses do just that thanks to the advanced lenses they use. Pure Grey lenses offer pristine 100% UV protection and perfect optical quality. High transparency and zero distortion make this lens type ideal for your time in the urban jungle. Resistant to shock, abrasion, and scratches, the Pure Grey are ready to tangle with your town. Blue Polar lenses add polarization to the mix which results in stunning clarity and easygoing comfort no matter how intense the sun gets. This lens type thrives on the water as it blocks out glare and eliminates irritating reflections for a truly enjoyable optical experience. Great for sports and other activities where you’ve got to judge distance well, the Pure Brown lenses enhance your field of vision and dial in just the right amount of brightness for a top-notch ocular experience. Fully committed to hooking you up with high performance certified quality sunglasses, Vuarnet loads each pair with everything you need to see what your eyes were meant to see.